Cooling effect of preindustrial fires on climate underestimated | Watts Up With That? Oh, Oh, Oh! Now they are going to say that the Little Ice Age was man’s fault!!! This is only true because of arson if it is true. In California the frequency and severity of wildfires is exacerbated by forest management practices forced on us by the environmentalists. We have been suppressing forest fires for a long time. It used to be a low tech endeavor. The tools were axes and shovels, pumps and water bombers weren’t available. link That means forest fire suppression is available even in underdeveloped nations. Humans have a great deal of control over wildfires and forest fires. It is not obvious that CAGW per se would affect their frequency and severity. Controlling fire by small burns and fuel removal is no tech stuff. The Indians did it without metal. We could do it too. We will not live well or happily until the last lawyer is strangled with the entrails of the last environmentalist. Wouldn’t it be HILARIOUSLY ironic if the increases in temperature they keep blaming on CO2 are actually caused by the reduction of atmospheric carbon soot? Careful, they’ll start hooking up air masks with diesel exaust again in order determine mortality rates on human test subjects by particulates. In other words, soot from forest fires cancels out the warming effect of CO2. That leads to the conclusion that the modern warming is due to a decrease in forest fires, not an increase in CO2. The other thing that occurs to me is that soot is a result of incomplete combustion. In other words, soot indicates that some CO2 wasn’t created by a fire. Could it also be that the modern increase in CO2 is also a result of fewer forest fires. If wood is allowed to rot rather than burn, it should generate more CO2. The findings of these studies could be earth shattering. Global warming is due to fewer forest fires! That would shake things up. Also it turns out that the carbon soot from the industrial economy that supposedly melted the LIA glaciers didn’t. 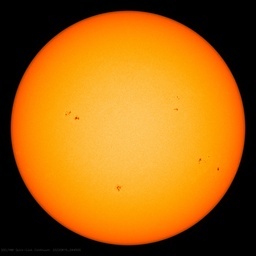 Solar Brightening gives warming since 1980-thanks to clean air act. I also have norton anti virus on my PCs. I don’t get a pop-up message from norton showing a problem with WUWT but it may be just logging the problem and blocking the site. Can you tell me what norton log file the message is recorded in and what the text of the message is? I’d be interested to see if I am getting a similar message and help confirm the problem. If the message is from Norton anti-virus, besides the pop-up, a similar message should also appear in one of the the Norton anti-virus software’s log files (probably the Traffic Log, but possibly in one of the other logs). If you can’t find it in any of the log files, the message is probably coming from somewhere other than Norton Anti-virus. Near the top of the article we are told that fires produce aerosols that reflect sunlight thus cooling the planet. Further down we are told that black carbon released in the same way absorbs heat and warms the planet. Now, not all aerosols released by fires are black carbon and indeed not all black carbon comes from wildfires. However, where is the analysis of the relationship and scale of these two opposing factors? Which is more important over time – carbon heating or cooling as a result of wildfires? Is that not the fundamental issue at stake? The same is true of water vapor. It is a strong greenhouse gas, but in the form of clouds, a strong reflector. Amazing, have we been lied to again? So now we know why Global Warming is actually causing Global Cooling. So its s something like this, CO2 causes heating, but it also causes more growth, i.e. Greening. That means that we have a lot of potential fuel waiting for something, lightning or humans to start it burning . But wait, here is the good news, that burning not only causes even more CO2, which helps Green even more plants, but it also causes Cooling. So what is the problem, it all balances things very nicely, problem solved. The Greenies will just have to find another “Cause” to protest about. Also it would be interesting to understand how increasing pollution in China and reduced pollution in the west has affected weather patterns. One of my hobby horses for a long time. I have seen aerial photos taken of my locale in the beginning of the C20th and the thing that stands out is the lack of trees. I presume this is down to the fact that they were a ready resource that everyone tapped into in order to keep warm in winter. People would have been burning them on open fires but the smoke from a small fire would not rise as high in the sky as that from a major wildfire and of course wildfires would’ve been less likely because of the reduced fuel load. There is still much work to be done impact of human activity on forcing in preindustrial era. Burning obviously introduces CO2 into the atmosphere. To the extent it clears forested areas it also diminishes the aerosol effects of forests and changes albedo. Human effects are not limited to burning biomass but also include methane production from livestock and rice farming in Asia. It makes sense there would be more preindustrial fire activity than industrial because by the industrial era major portions of arable land had already been cleared. No. It will warm the atmosphere. As the atmosphere is on average colder (at minus 15 degC) than ‘The Planet (at plus 15 degC, subject to regular revision & adjustment of course), the atmosphere CAN NOT radiatively warm (the surface of) The Planet. Wait. I thought we’ve just been told these things absorb sunlight – not reflect it. cooling the planet in the process (also known as indirect radiative forcing). Please tell me this is a Bad Dream and I’m not actually hearing this. You cannot cool *anything* with *any* sort of radiative forcing, direct or indirect. Even Cap’n James T Kirk or even Picard didn’t have that kind of techo-garbage toy. As a First Lesson in Green House Gas theory, go back to school and *TRY* to get your head around how electromagnetic energy moves through a vacuum. What is in that empty space to hold it back. What puts the brakes on, why doesn’t it move at infinite speed? Why does a place of complete nothingness have measurable ‘properties’? And me or you can measure those properties on our own kitchen tables using a coil of wire, 2 pieces of tin-foil, a voltage source and a voltage meter. We can each calculate the Speed of Light from experiments we can do in our own homes- no need for stop-watches and the shooting of lasers at mirrors across the length of football fields. You DO understand that Radiation is NOT a variation on (thermal) conduction? Notta lotta hope though is there. British Universities are now dragging people off the street to fill places on their courses. People who have, over the course of 17 or 18 years, demonstrated no skill or desire to absorb or learn any sort of knowledge. I’ve met some of them and they are actually proud of how dumb they are – failing all your schools exams gains you a Badge of Honour. How about you write “a WUWT idiot’s guide to atmospheric physics as relevant to climate science” (or similar) explaining the points you have made above in a little more detail? Once published, you could then show a link every time you comment on such papers in future. As you will have gathered from my own comment on this odd paper above, I’m not disagreeing with you for a second, but I’d love to learn more about this subject which is clearly so crucial to climate science and AGW. This discussion reveals something — how complex the climate is and how much we underestimate it. Just one element of the climate — wildfires, has so many major and minor contributing factors, each of which affect the others in a recursive manner, and no one fully understands it. Warming effects vs cooling effects, black soot vs. contrails, reflection vs. absorption vs. insulation, biomass growth vs land use vs. management practices, air pollution particle sizes, height that fires reach, etc., etc. And even now they keep discovering new factors as well. … and yet they claim to have enough understanding of this climate system, and enough good data, to project ‘with high confidence’ what will happen 100 years from now. Is that foolishness, arrogance, or just vanity? A) Develop and run a model that redefines history to better suit their confirmation bias. B) They build their analysis upon unknowns and assumptions. C) Introduce their ‘confirmation bias’ belief that fire is man’s fault and almost solely man’s fault. D) Claim that the existing datasets, which are used as the primary inputs to the author’s new model, do not blame mankind sufficiently. Europe (EU) and Australia (AUS). E) 1) The timeframe for their “preindustrial” assumptions if 1700 to 2000 CE. E) 2) These reconstructions and modele results are used as the inputs for the author’s model. F) Their four ice core reconstructions are run through another confirmation bias assumption filter. “The managed burning routine of the fire module defines that 50% of the litter on 20% of the used land (cropland and pasture) is burned annually. As the seasonality of burning on used land is not well known at global scale, fire emissions are partitioned evenly across all snow-free days of the year with mean temperature above 0 °C. In reality, most biomass burning on used land probably occurred during certain periods of the year, e.g., after harvest, but it is currently beyond the capability of any global land use scenario to prescribe these periods. G) Not to overlook that the author’s used a daily fire and black carbon emission in their their model; even as they recognized that assumption was not valid. Another infinite self gratification model where author assumptions override logic and history while creating a new CO₂ and black carbon imaginary hypothesis. In the early 1960s and 1970s, one sought a career or publicity by explaining “Global Cooling”. Rasool was one such researcher and he went on about particulate carbon in the atmosphere causing cooling. There was a newspaper article published in 1971. More recently,there has been comment that James Hansen provided the “modeling” for such a theory. It would be interesting if there was any evidence that Hansen then, himself, was pushing the story about particulate carbon and cooling. Because later on, he was strongly touting that it then “caused” global warming. “the cooling effect from these aerosols” overpowered other natural factors (whatever caused warming which ended LIA) is disproved. temperature reconstruction would show a cooling effect. In the game of Climate Poker, aerosols, from fires and volcanoes are often the Carbon Cultists’ wild cards, which allow them to win every time, or to claim they do. But this climate “researcher” appears to have made an own-goal, by claiming that wildfires, by virtue of being greater back in 1750 were cooling the climate. That means that without the wildfires, it would have been warmer. But that means the actual “warming effect” of CO2 would be that much less. Oops. So more fires kept us cooler. Funny how temperatures rise during WWI and WWII. Lot of fires then, but also a lot more aviation. Living in an area where as many as 200 high flying jets fly by daily with contrails creating high cirrus clouds I wonder if much of the warming thats taken place over the last 60 years is not due to increased aviation. This would increase night time temperatures and hence tbe mean while day time temperatures over land would see little increase, something the latest US study seemed to show. Weather Drivers NOT Climate Drivers!